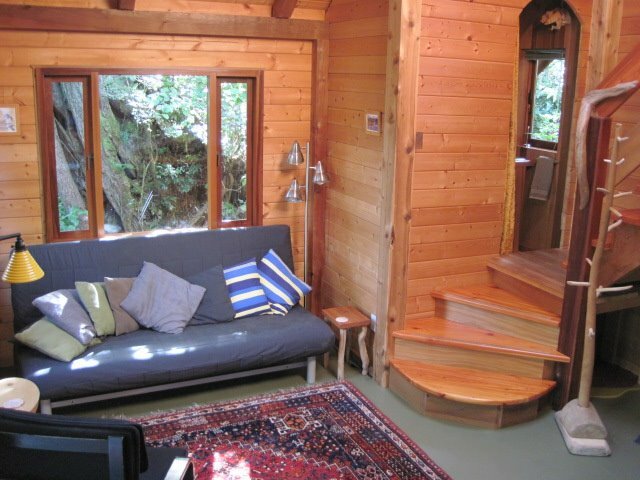 Nestled into a sunny spot amongst cedars, hand-crafted Emerald Forest offers a unique and casual atmosphere. We are 5 km from Tofino and a quick 10 minute walk to South Chesterman Beach — a great starting point for all kinds of adventure! Whether you are one of our returning family of guests or a new visitor, we offer a special place to call home while you explore this spectacular part of the world. Quiet, safe, and clean…. simply lovely. Want to know more? Be in touch! We speak English, German and a bit of French. 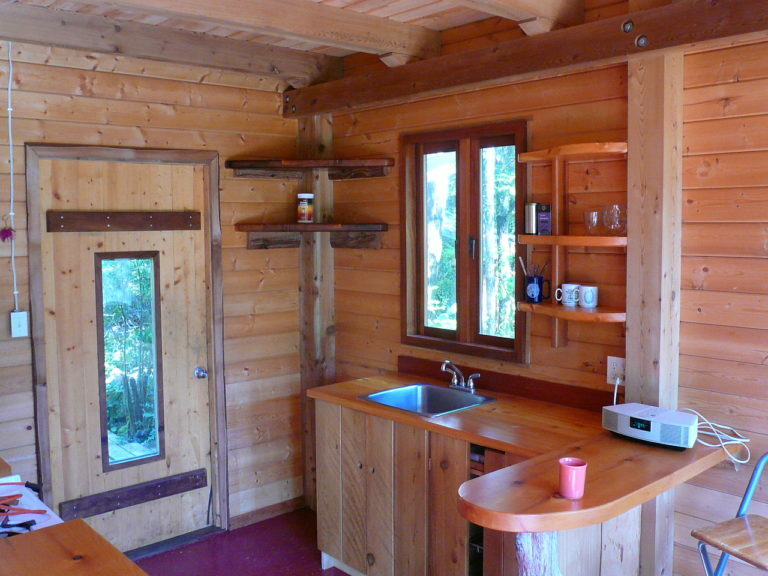 Cedar Nest cabin at Emerald Forest is a comfortable post & beam hideaway nestled into a sunny spot in the forest. 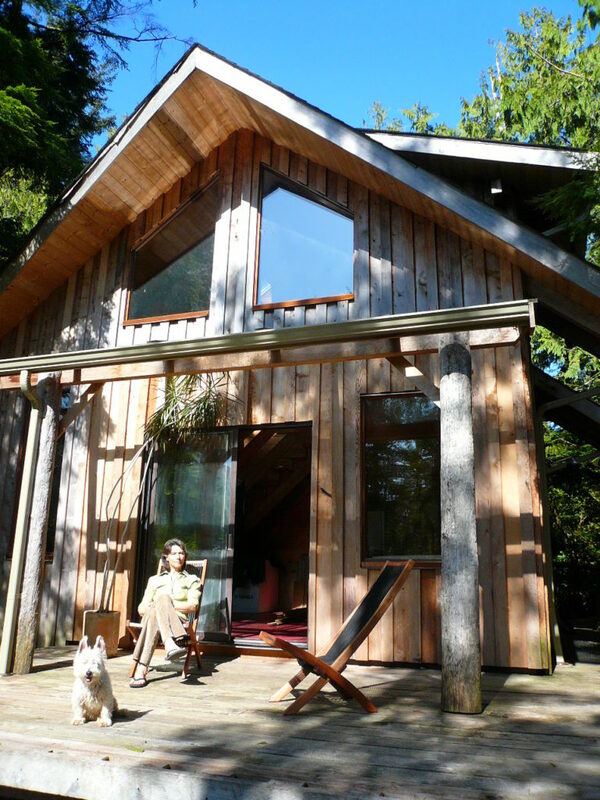 Hand-built with the creative spirit of the outer coast, the “Nest” will make you feel like a local during your travel adventure to the Tofino area. 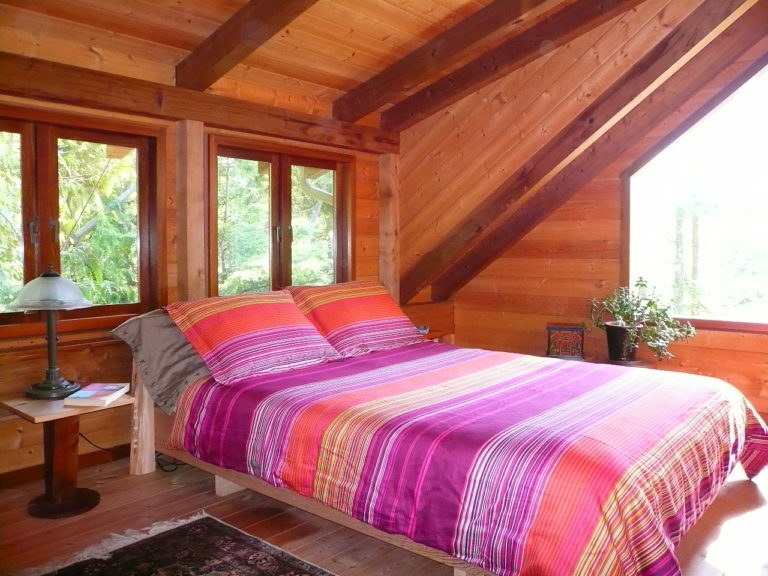 Cedar Nest is designed for a couple, but can accommodate a maximum of four using the pull-out couch. Price for extra guests: kids up to 14 years old / $10 per child per night; guests 14 and older / $15 per person per night. Please note that a 16% general sales tax will be added on to your total billing. 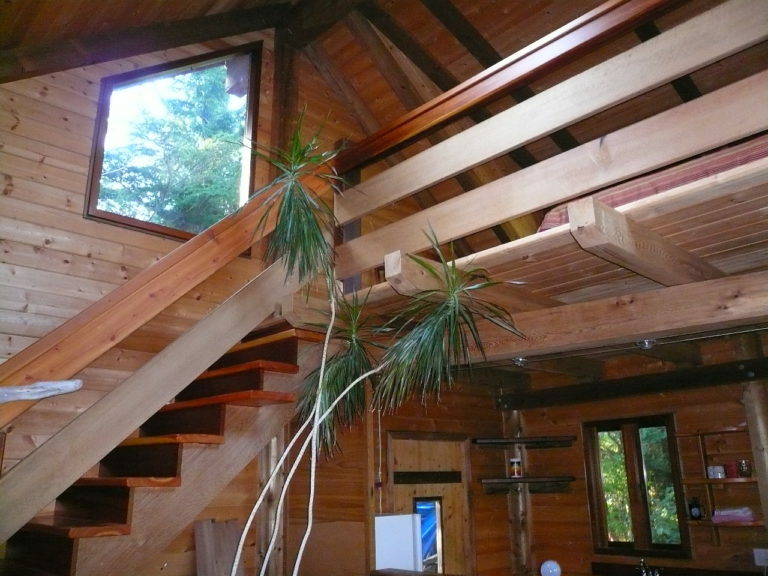 Cedar Nest has a 3-night minimum stay. We only offer one- or two-night stays as dates become available on our schedule. Ask about weekly rates during shoulder and winter season. We take a credit card number to reserve your dates. We ask for final payment in cash or Canadian checks. Final payment is due in full upon arrival. We will send you an email to confirm your reservation and provide directions once you have booked your stay. Cancellations made 30 days or more prior to booking date, guests will be subject a $50 administration fee. Cancellation made 30 days or less prior to booking date, guests will be subject to full (100%) charge for all cancelled dates.